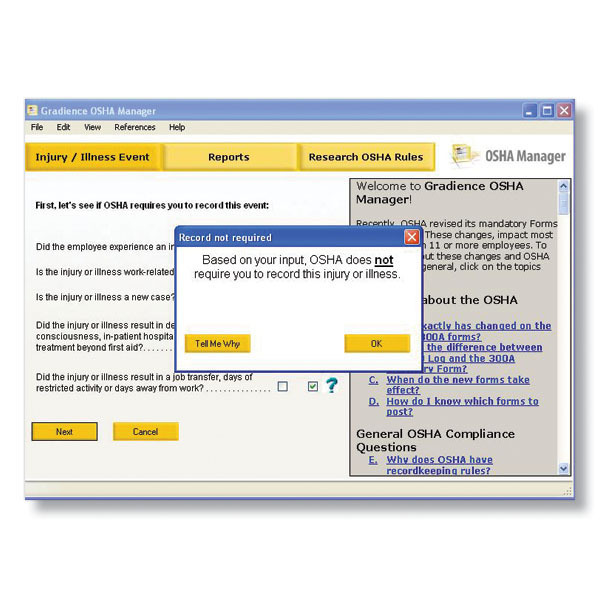 Meeting OSHA guidelines and staying OSHA-compliant is easier than ever with Gradience® OSHA Manager. 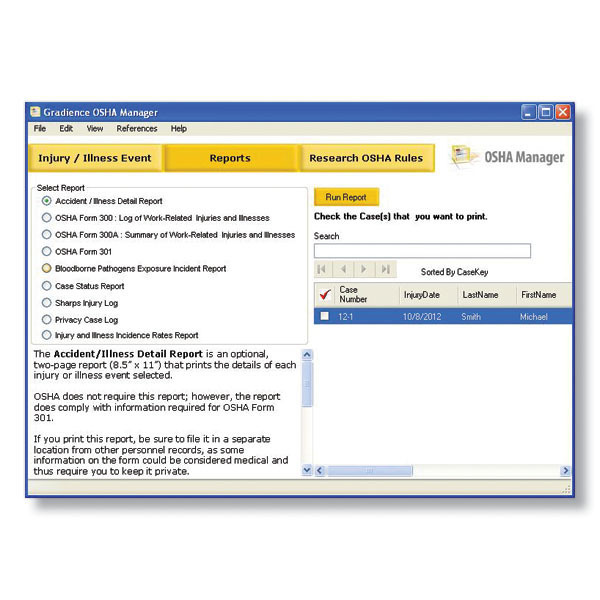 This wizard-driven application uses your answers to determine whether an incident requires filing, then automatically populates the required injury/illness reports with your entered data. 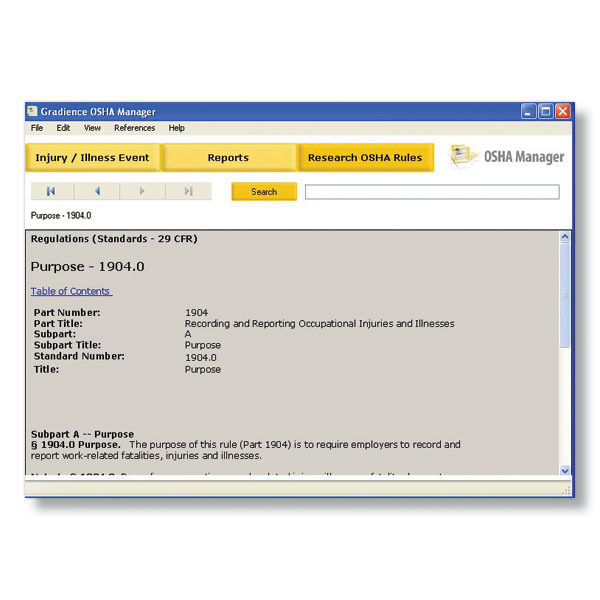 In addition, users can learn about essential industry- and area-specific recordkeeping policies. Try it FREE for 30 days. Just click “Download Free Trial” to the right or watch a flash demo. 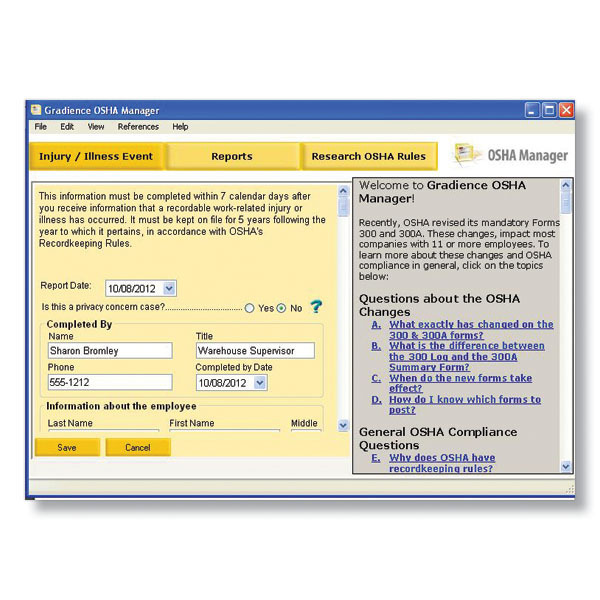 Already using Gradience OSHA Software? Renew your license today! 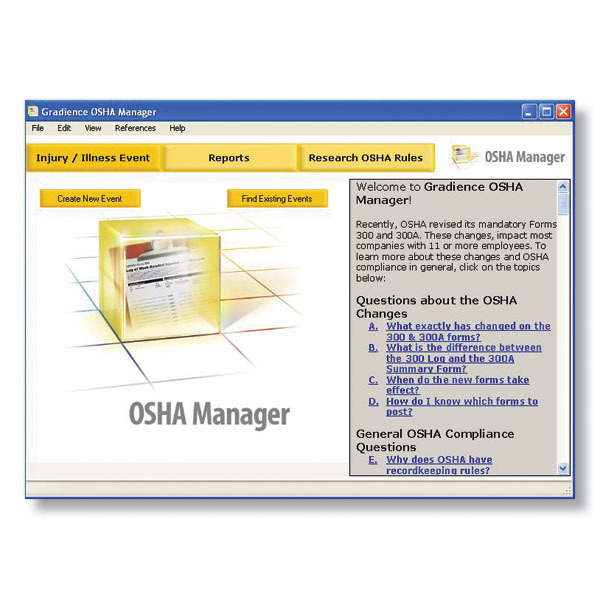 Includes SmartUpdate by ComplyRight, which automatically alerts you when your software needs an update to stay current with new governmental compliance guidelines, rules or laws. 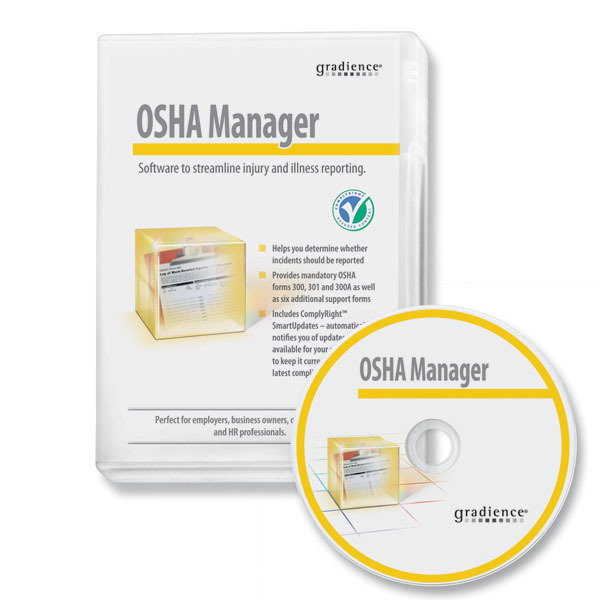 Free for the calendar year of your software release. This purchase is for a one year software download license. It requires an annual renewal for continued use.